After losing three toes in a lawn mower accident at the age of two, Elaine Zayak began figure skating as physical therapy. At age 13, she won both the Junior World Figure Skating Championship and the U.S. Junior Championship in 1979. Noted for her consistency in landing the triple jump, Elaine won the gold medal at the U. S. National Championships in 1981 and finished second at the World Championships. In 1982 Zayak captured the gold medal at the World Championships in Copenhagen. 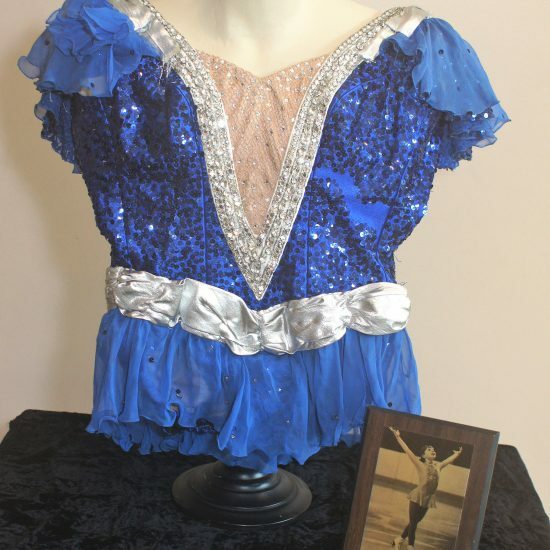 She also won a silver medal and two bronze medals at the U.S. Championships from 1982-1984, as well as a silver medal and a bronze medal at the World Championships in 1981 and 1984. Zayak was inducted into the U.S. Figure Skating Hall of Fame in 2003. Elaine Zayak triumphed after an accident in childhood to break new ground in figure skating on the way to win the U.S. National Championship, two world championships and competing in the Winter Olympics. When she thinks of her accomplishments, Zayak recalls her ethnic roots. After losing three toes in a lawnmower accident at age two, Zayak not only skated competitively, she won the 1979 World Junior Championship, the 1981 U.S. Championship and the 1982 World Championship. She also was sixth at the 1984 Winter Olympics, in Sarajevo. She broke through one of the big barriers in her sport, along the way. Zayak is the first woman to consistently land triple jumps in her programs. Until she did it, routine triple jumps were part of men’s figure skating. But Zayak landed six in winning the World Championship. When Zayak was about two years old, she ran to greet her father who was mowing lawn. Her foot became tangled in the blades of the mower. A doctor told her to go skating, roller or ice, to improve her balance and dexterity as part of her physical therapy. “There was an ice rink just down the street from my father’s restaurant in New Jersey,” Zayak said. “I was three years old and I did not even know what was happening. I started walking and skating at about the same time. She discovered that she loved it. She started competing at age six. Some competitions were more difficult than others. But with a sock, and later a wooden block, wedged firmly into the boot with her injured foot, Zayak started winning. “I think I was so much of a daredevil, I wanted to try everything,” she said of her early training and nearly fearless approach to jumping on ice. “My father used to make me climb a rope up a tree and do chin-ups with him. She began making a four-hour roundtrip commute from her hometown, Paramus, New Jersey, to Long Island to train. Eventually, Peter Burrows and Marylynn Gelderman coached her throughout her amateur and professional career. The process of achieving triple jumps came in perhaps the way most natural: If the boys were doing it, why should they have all the fun? As her athletic career progressed, Zayak enjoyed figure skating as a fusion of sport and art. “I was just glad for all the support I had because it all developed into such an exciting thing, to see girls so athletic and that it is not just ballet on ice. You get to see this big athletic effort and the artistry at the same time, to me that is what I felt figure skating should be. It’s both athletics and art, Olympic sport and dance, and where do you get that really in any sport? “You see a lot of grueling, grueling stuff and yet do it smoothly,” she said. “I think skating is one of the hardest things you can do, and having to do these amazing things so smoothly and not show any of the hard breathing is more difficult than people realize. As a young girl, teenager and young woman, the pressure of competition increased at every level. But Zayak said she mostly enjoyed it. “I think I can handle a lot of pressure very well, and that’s a Polish quality,” she said. “My feelings are about what I have to do and I don’t worry about other things so much. “I worry about myself, not what other people are doing. Zayak performed to acclaim, also winning a silver medal at the 1981 World Championship and a bronze in 1984. 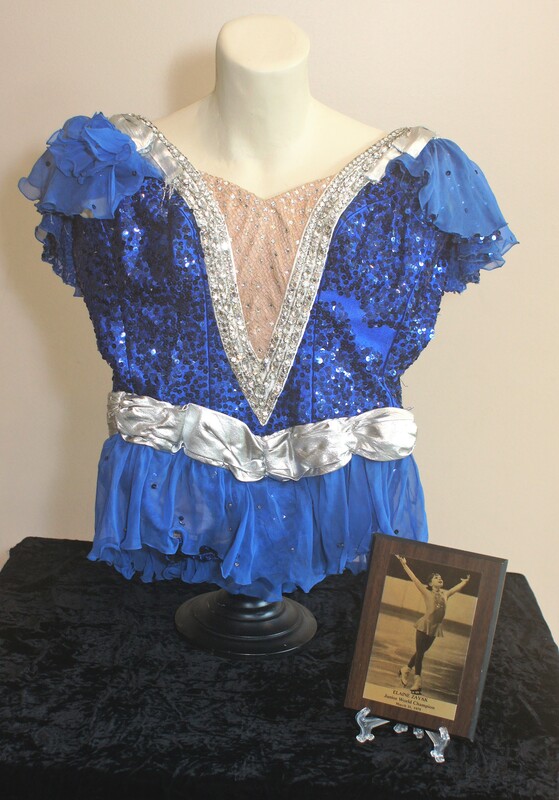 The sport emphasized compulsory figures at the time, in a way that is not done today. The compulsories were more difficult for Zayak than the free skating programs because of her childhood accident. Skating today, it is likely that she would have had far greater success. She made a comeback against long odds in 1994, performing the triple jumps she had not launched in a decade and finishing fourth at the U.S. Championships. Despite the improbability of her comeack, she was named an alternate for the Olympic Games. She remembers that people kept asking her why she attempted the difficult return. “Another thing about being Polish, we want to do things people don’t normally see and do and that is why I wanted to come back,” Zayak said. “I wanted to be better than I was in 1984; and I was, actually. She remains intensely involved in the sport as a coach, and her outstanding skater is Jimmy Ma, 17, of New Jersey, the 2013 U.S. Junior Pewter Medalist.